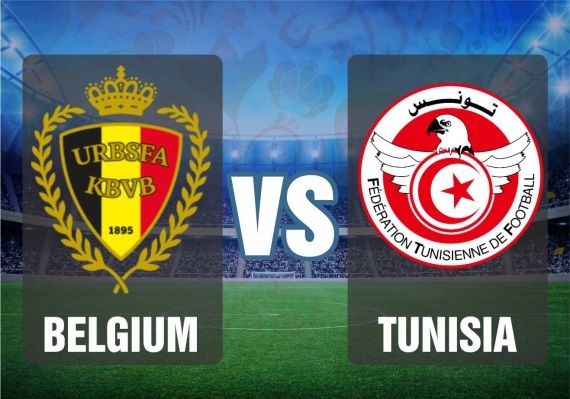 Belgium will be looking to be build on their emphatic 3-0 win in their Group G opener against Panama, this time against a fearless Tunisian outfit. The North Africans were thwarted late on in the game against England, conceding in stoppage time to lose 2-1. A win would send Belgium through to the next round, while defeat would surely mean it’s the end of the road for Africa’s highest ranked nation. Belgium looked far from their usual selves in their World Cup opener, but still did what was required to ease past Panama in a 3-0 scoreline. Surprisingly, the Red Devils went into the break goalless and couldn’t get out of first gear. But after a good talking to at half-time from coach, Roberto Martinez, the likes of Dries Mertens, Romelu Lukaku and Kevin De Bruyne stepped up. Captain, Eden Hazard, also showed signs of what’s to come from the little Belgian in the games to come. Martinez’s charges will need to settle matters early before their crunch tie against England in round three. If they are to break through Tunisia’s rock-solid defence, they’ll need more moments of brilliance from their key players. Lukaku is likely to challenge for the Golden Boot award and he’s already showed so far in the tournament that he only needs half a chance to find the back of the net. His link-up play with Hazard and Mertens will give Tunisian defenders a headache at the back, while they also have to close down De Bruyne in midfield, who can split a defence open with quite some ease. Tunisia seek redemption in their second match of the FIFA World Cup. They held on tight and fought back, despite going a goal down against England in their last game. Unfortunately, they couldn’t hold on and hearts were broken in stoppage time as Harry Kane headed the Three Lions in front. It was a game stolen beneath their grasps. They face another European giant in the form of Belgium, who cruised to the top of Group G with a 3-0 win against Panama. Led by Wahbi Khazri, Tunisia put up a good fight and showed that they cannot be underestimated, even further, proving why they are ranked as Africa’s best. Ferjani Sassi, who scored from the spot, as well as Naim Sliti, were the standout players in their performance against England. Both players have plenty to offer going forward with their skill and trickery to weave through defenders. The only worrying sign for Tunisia was the loss of goalkeeper, Mouez Hassen, who was replaced by Farouk Ben Mustapha, who, in fact, had a pretty decent game. Tunisia know how to keep the ball, but it’s what they do with it that will be vital in their next two games. Ben Mustapha; Bronn, S. Ben Youssef, Meriah, Maaloul; Skhiri, Sassi, Sliti, Badri, F. Ben Youssef; Khazri. Belgium know what is required and should do enough to claim all three points. Their defensive combination worked as well as their firepower up front. Belgium on the (-1) Handicap is the best bet here at 15/20.